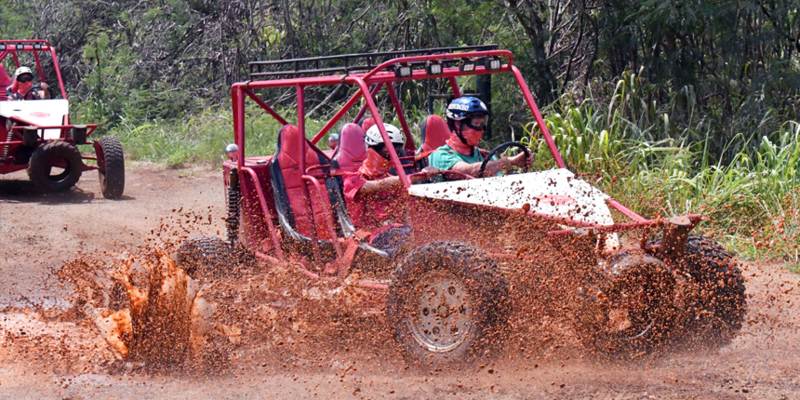 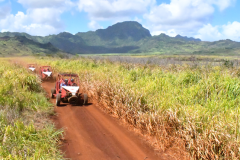 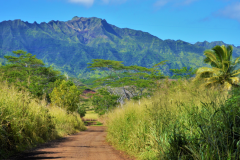 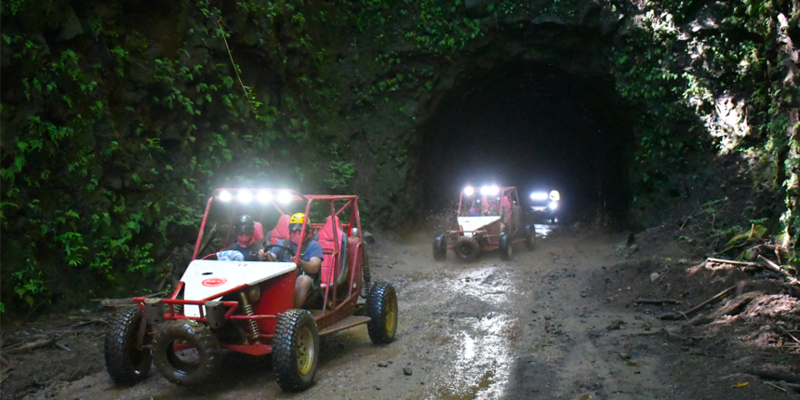 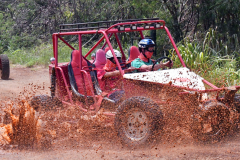 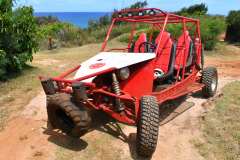 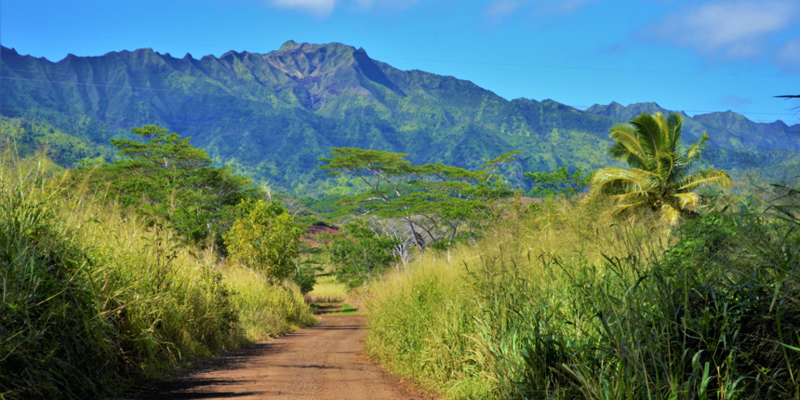 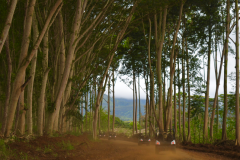 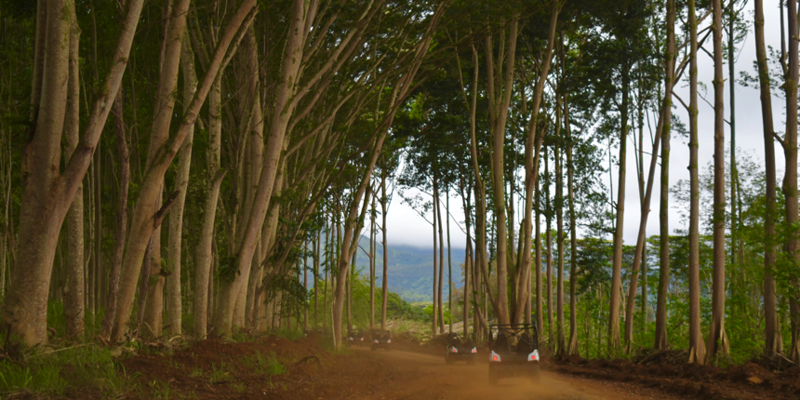 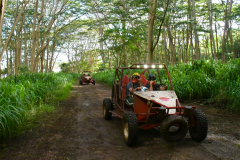 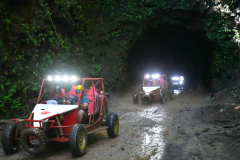 This 3 to 4 hour Kauai ATV adventure takes you through historic plantation lands. 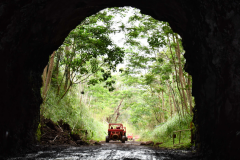 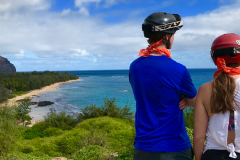 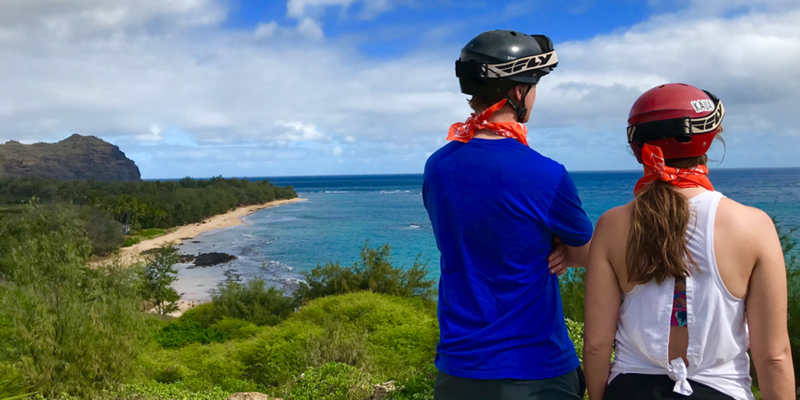 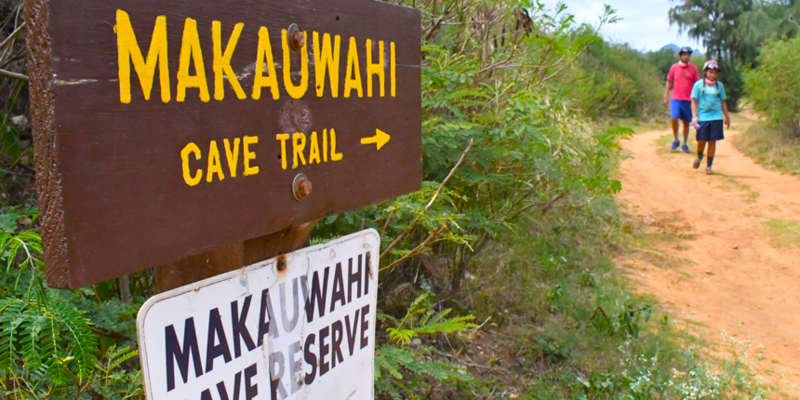 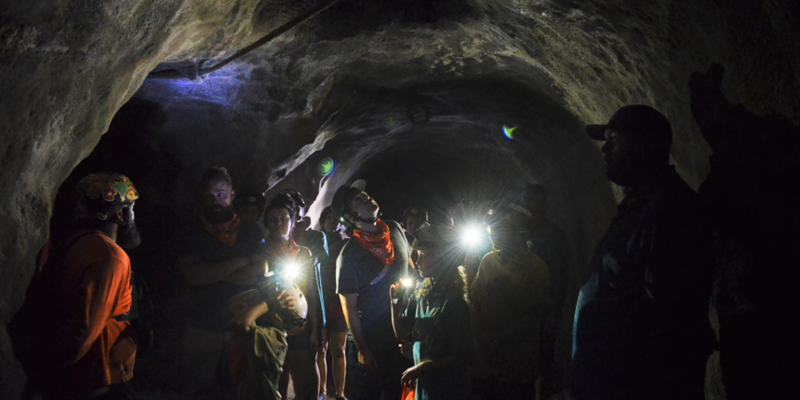 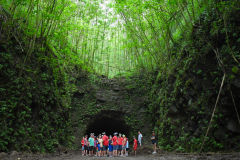 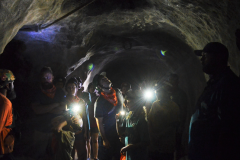 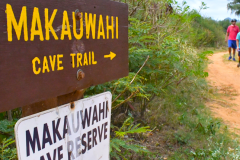 Experience 23 miles of diverse off-road trails including amazing panoramic views, famous movie sites, lush Hawaiian jungle, and a remarkable hidden tunnel. 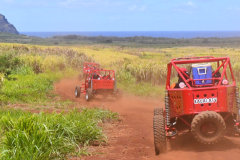 The Kauai ATV Waterfall Tour begins near the old Koloa Sugar Mill and ventures to the benches of Kahili Ridge where our waterfall and historic WWII bunkers await. 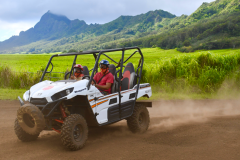 Rejuvenate with a dip in the waterfall and re-fuel with Anahola Granola bars, Anahola granola trail mix, chips, Koloa Cookies, juice and water provided by Kauai ATV. 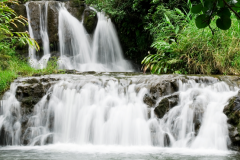 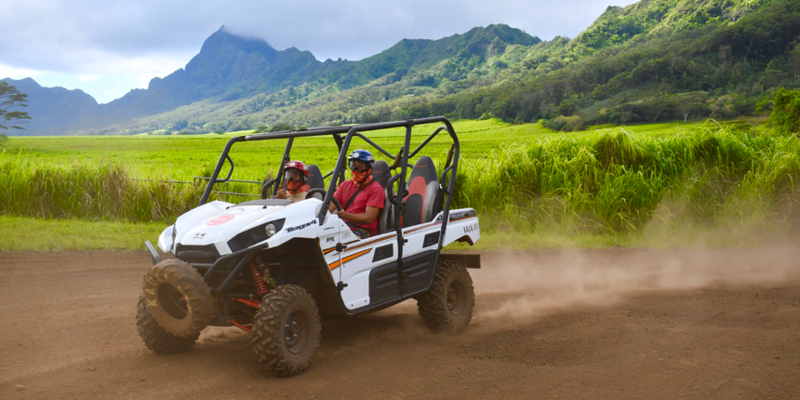 In order to thoroughly enjoy this Kauai ATV Waterfall Tour, bring a swimsuit, towel, sunblock, bug spray, and water-friendly closed toe shoes. 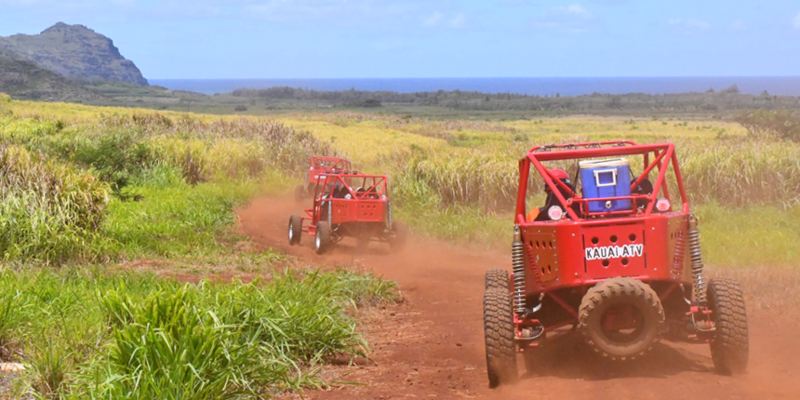 Kauai ATV provides shorts, t-shirts, helmets, goggles, and souvenir bandanas. 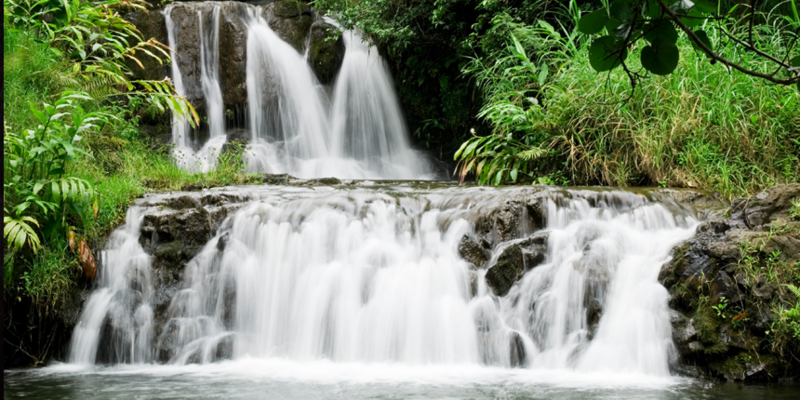 Need to get away from it all? 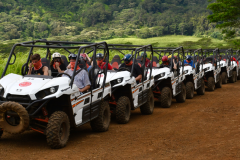 Kauai ATV, Koloa Zipline, and Koloa Bass Fishing are proud to offer private tours for just the occasion. 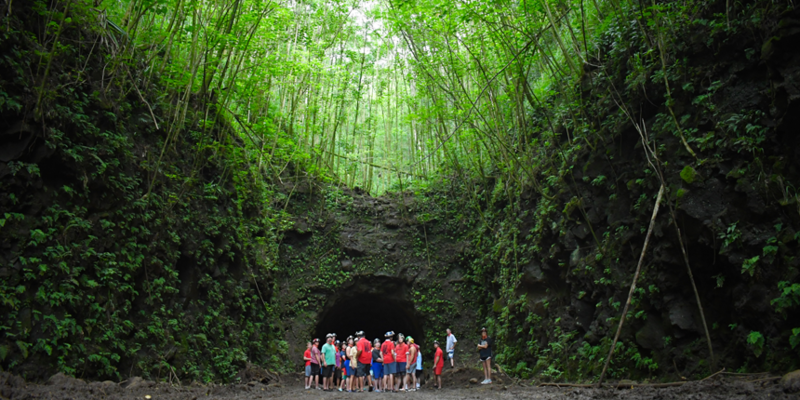 Call direct or ask your concierge how to personalize and privatize our tours to meet your needs. 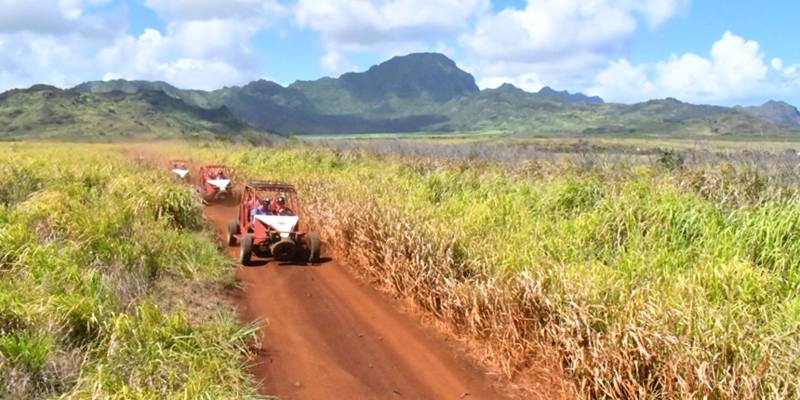 View pristine landscapes from Makai (ocean) to mauka (mountain) on Kauai ATV’s Koloa Tour. 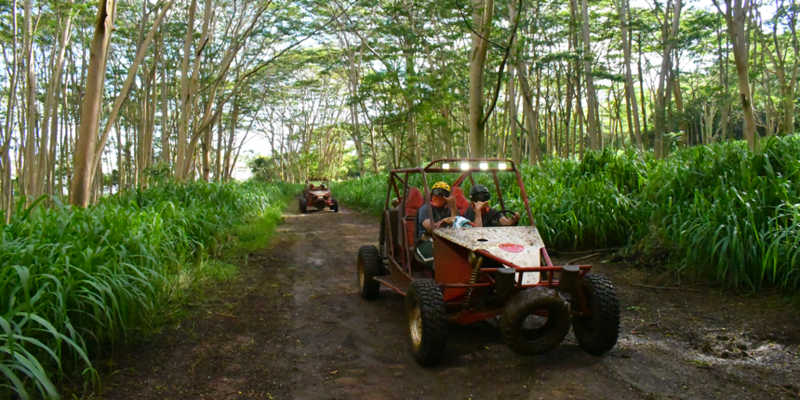 Our 3 hour Koloa Tour takes you on plantation trails over Kauai’s most southern point. 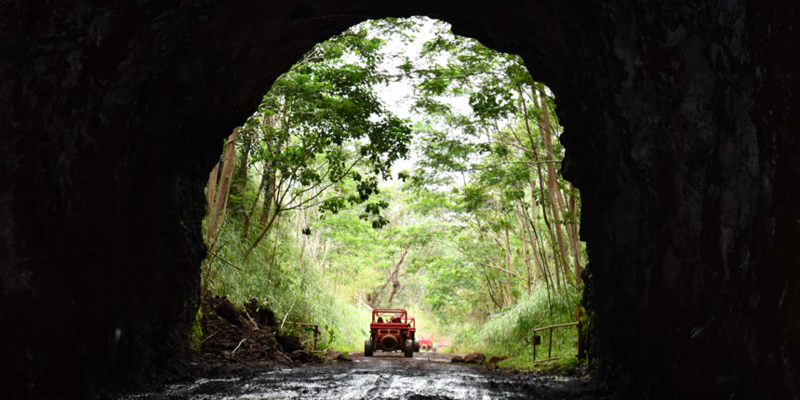 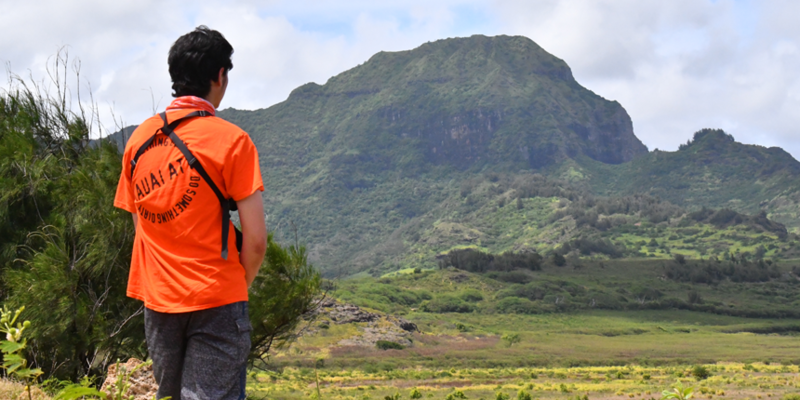 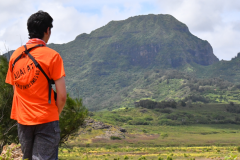 Hear the tales of Kamehameha from atop an inactive volcanic crater, explore famous movie sites, drive through our historic cane haul tunnel, and visit the shoreline of the Waita reservoir. 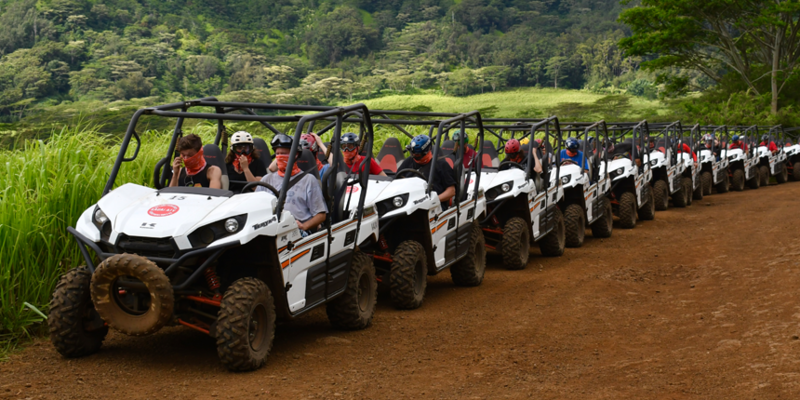 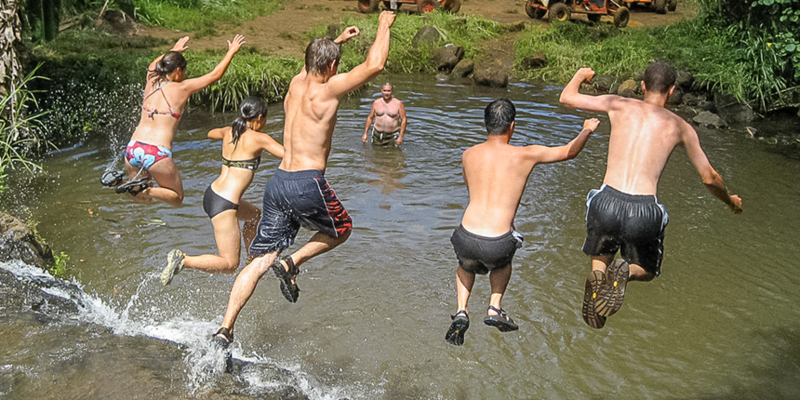 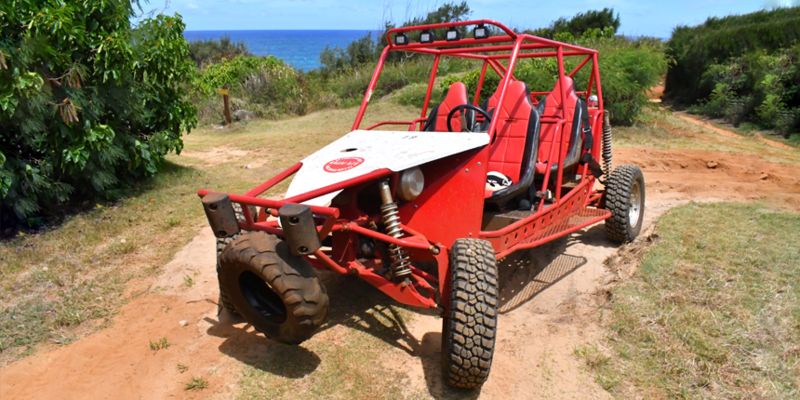 In order to thoroughly enjoy this Kauai ATV Koloa Tour, bring a towel, sunblock, bug spray, and water-friendly closed toe shoes.